You love your shoes, and your shoes love you. But where do they sleep when they’re not hugging your feet? In pitch-black shoeboxes or shoe storage bins under your bed, which Feng Shui expert Anjie Cho says will stop positive energy from flowing through your apartment? On the floor by your door, which can trip you and your friends? Or in your closet, which could use a little extra breathing room? 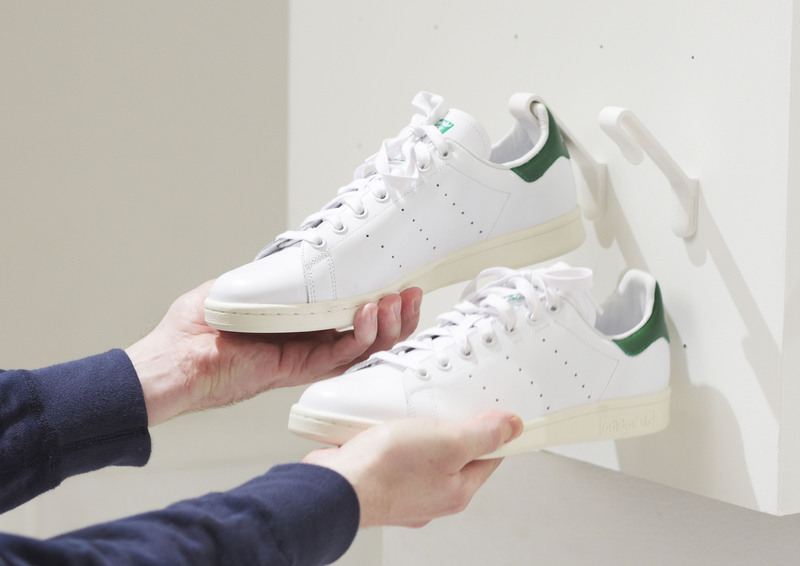 Or follow PostlerFerguson‘s advice and levitate your shoes using Staeckler hooks. Made of strong ABS plastic, Staeckler hooks hang your shoes on the wall, or any other vertical surface, for everyone to admire. 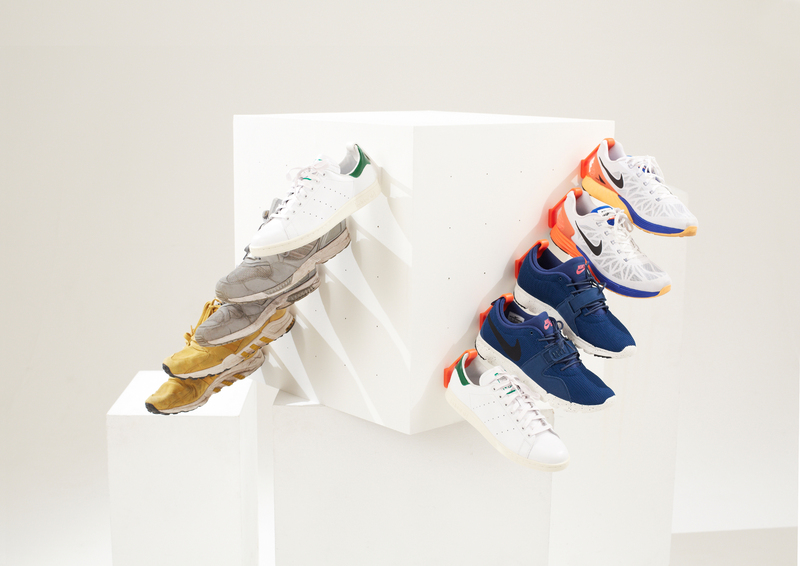 Because you also have fly Flyknits, Jordans, Woosters, Air Force Ones, and Stan Smiths that are basically art. Art that should be displayed. To get started, open Staekler’s flavorful packaging without drooling. Next, use the included adhesive pads to stick the Staeckler shoe hooks to a laminate surface, or use the included screws and anchors to mount them to a wood or plaster surface. 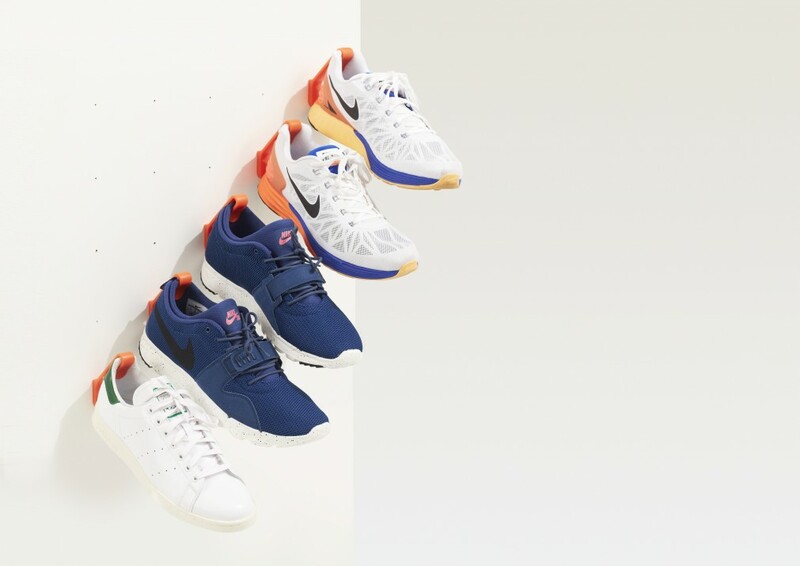 Then, grab your shoes of choice (Staekler hooks hang almost any shoe that has a heel, but it works best with low-rise sneakers), slide their heels into the Staekler hooks, and let gravity do its thing. When you’re ready to rock a pair of shoes, just lift and twist them off of the Staekler hooks. 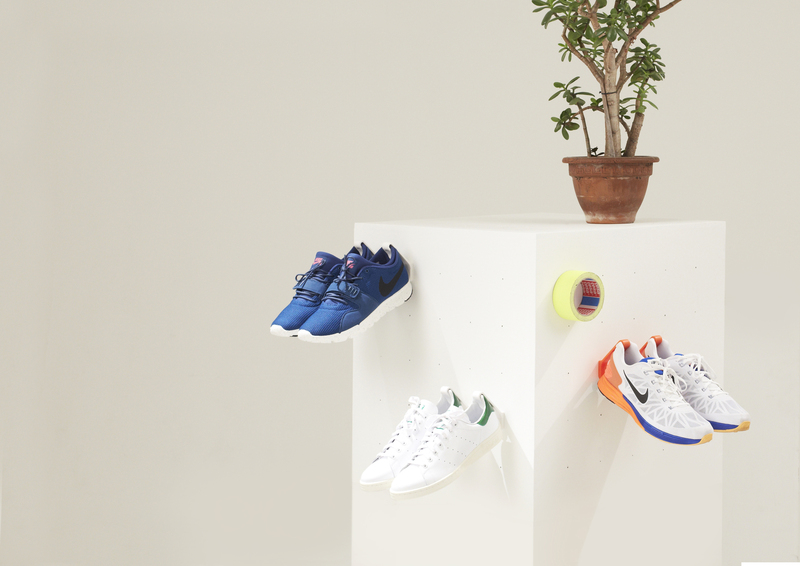 Available in orange, blue, grey, or white, Staekler hooks are the perfect shoe storage solution for any home — spacious or tight. 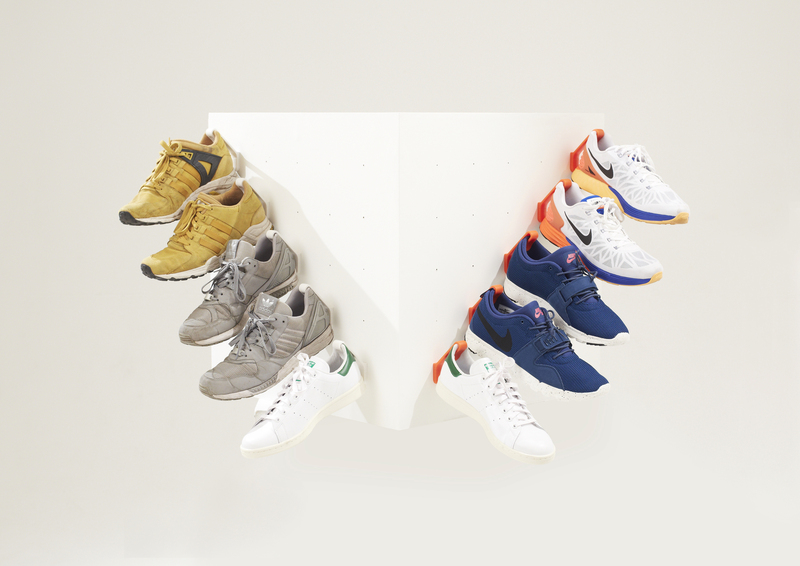 Score a 2-pack of Staekler hooks for only 10 bucks at staekler.net/shop, and show off your kicks like never before.